Yeh Rishta Kirti Naksh face the unexpected and go through mixed emotions. Kartik falls helpless and loses Krish for once and all. He realizes very well that he didn’t had any right on Krish, since Krish is his nephew, not his son. 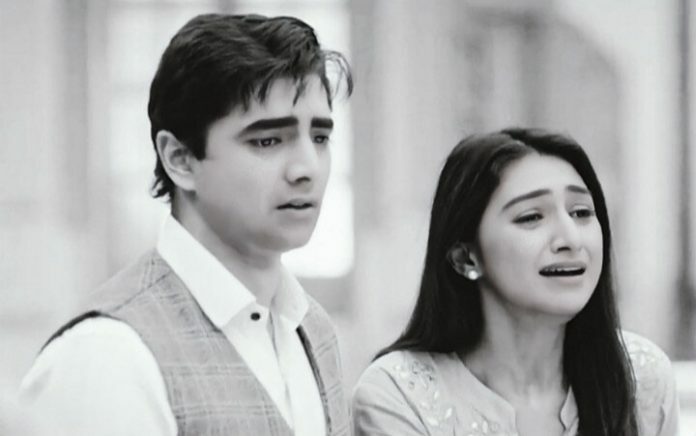 Kartik accepts the truth with much pain, and wants Naira to understand this as well. He knows he is compelling Naira to accept the truth from which he was keeping her away till now. 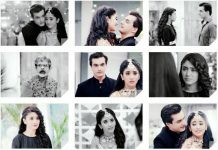 Kartik gets the sorry card for Naira and tells her that he was much prepared mentally to reveal the truth to her, since he didn’t wish her hopes to get more high regarding their claim on Krish. Kartik tries to explain his stand to his family, who don’t support him. Kartik feels lost in his life. He has already missed the chance to achieve fatherhood. He wishes his family, especially Goenkas forgive him and understand that he has taken this step for Naira. Singhanias blame him for snatching Naira’s rights furthermore by this big deceive. Naira can’t separate Krish from her. She decides to take the extreme step of claiming Krish’s rights. Naksh and Kirti’s pain and tears touch Naira’s heart. She loses Krish to his real parents. Naira fails to come to terms with the shocking reality. Kartik reaches Naira to console her sorrow. Naira blames Kartik for mocking her motherly feelings by lying to her. Kartik gets accused by Naira too. Naksh, Kirti and Singhanias see the pain Naira is going through after losing Krish. Naksh and Kirti didn’t wish Naira to fall in such a trouble. They sympathize with Naira and get a thought of sacrificing their parenthood for Naira’s sake. They stay angered on Kartik’s misdeed and doesn’t find him deserving of fatherhood. Will Naksh and Kirti give Krish back to a much needy mother Naira? How will Kartik explain his stand and intentions to his beloved Naira? Keep reading. Moloy learns the good news that Anurag and Prerna are in love and also willing to get married. He also wants them to get married soon. He wants to take Anurag’s proposal to Prerna’s family and surprise them. Moloy and Rajesh hide their excitement on the newly forming relation between them. Things go wrong when Komolika intervenes in Basu family and learns about Anurag and Prerna’s love relationship. She conspires against Prerna and targets Mohini by giving her a drug for inducing a heart attack. Mohini gets saved when she gets treated by the doctor in time. Prerna falls in deep trouble when Komolika frames her in the act. Mohini and Nivedita hold Prerna responsible for Mohini’s fatal state. They want Prerna out of the house. Anurag assures Prerna that he will talk to his family and convince them for accepting her as his wife. Prerna shares a moment with him. She believes in his promises. Moloy wants them to be together, while Mohini wishes otherwise. Mohini likes Komolika for Anurag. She tries to know Komolika’s feelings for Anurag and learns that Komolika is willing to marry him. Mohini gets happy and wants to announce Anurag and Komolika’s marriage. Komolika targets the big opponent Moloy and gets him killed in an accident.